Yes, you heard that right! 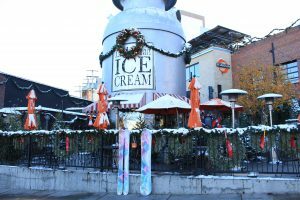 FirstBank and Denver’s favorite ice creamery, Little Man Ice Cream, is hosting the Mile High City’s first-ever Gingerbread House Decorating Party come snow or shine. The party will be held Saturday, Dec. 10 from 1 – 3 p.m. at 2620 16th St. at Little Man’s iconic “milk tin” location in LoHi. The best part? Participants will not only create and decorate their own gingerbread houses, but will also help build safe homes for low-income families by supporting Habitat for Humanity. 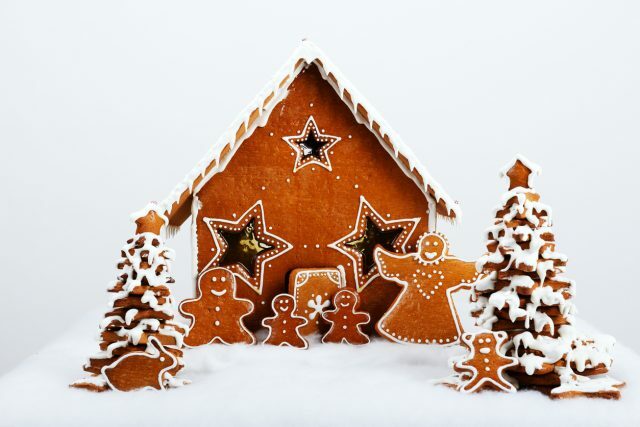 • Decorating and designing your own gingerbread houses (gingerbread kits and other goodies will be provided. Recommended donation to participate is $10). • Free ice cream courtesy of FirstBank, hot cocoa and music by The Music Train. • We’ll also have awesome FirstBank prizes including limited edition skis, snowboards or 4-pack passes to Copper Mountain. Don’t worry about chilly weather. We’ll have plenty of outside heaters and coverage just in case.